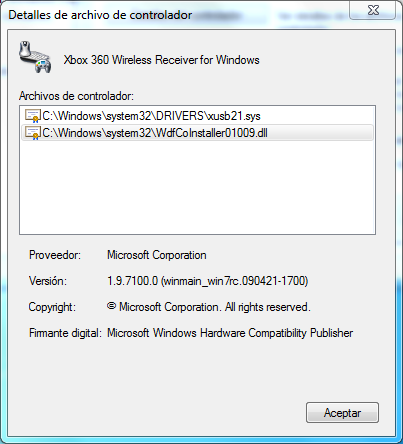 This is a cheap device to connect your xbox 360 wireless controller to your PC. 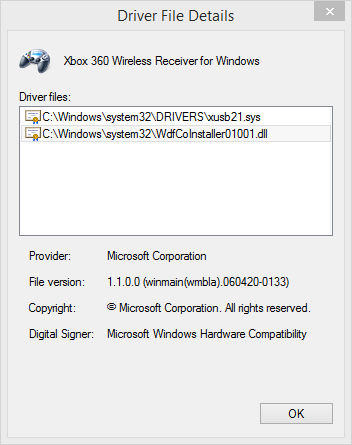 It is generic device made in china that says "PC Wireless gaming Receiver". 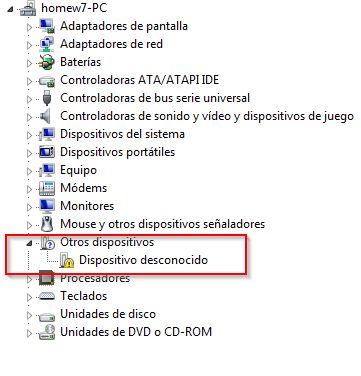 Windows 8.1 - 64 bits. 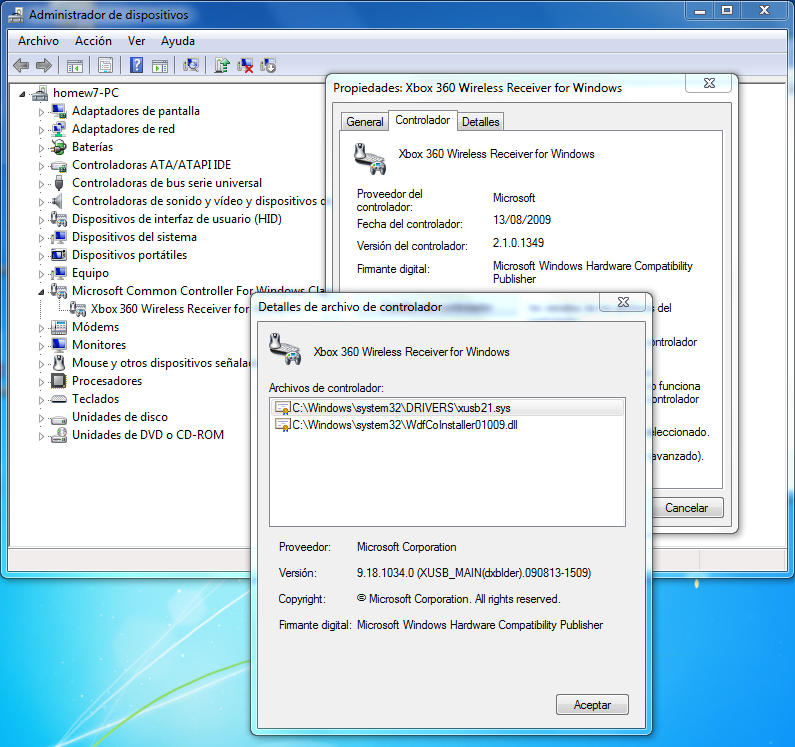 It is working and the procedure is similar to the one I used on Windows 7 64bits. 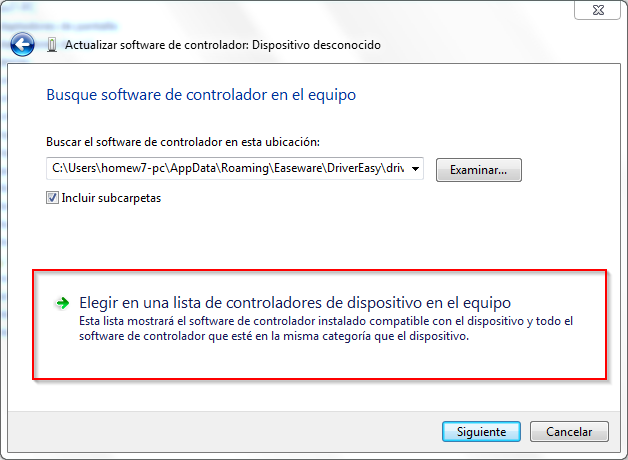 1) Install the driver from the Microsoft site. 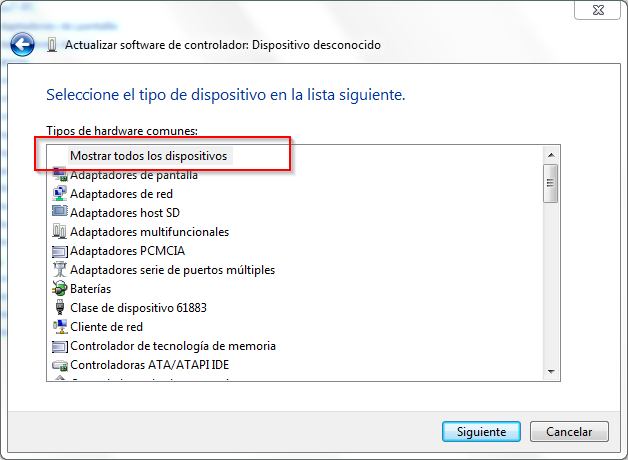 Follow the normal install procedure. 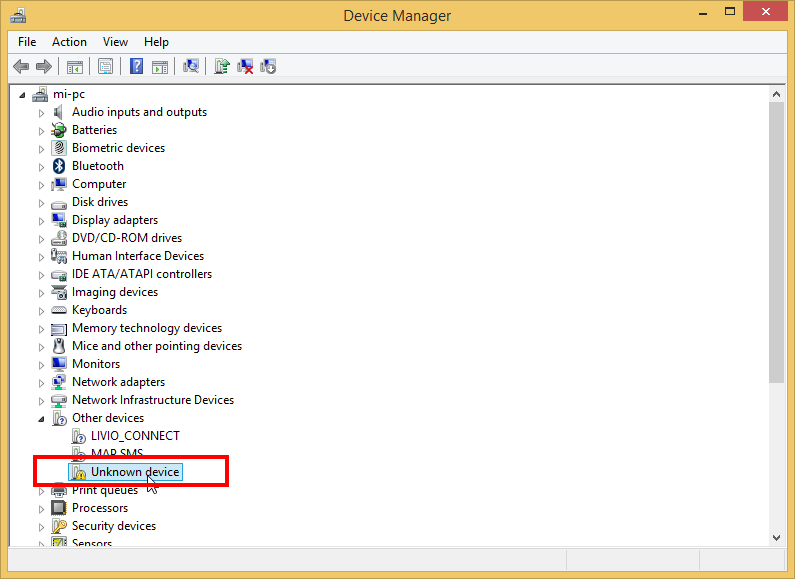 2) Plug in the "Controller Wireless Receiver", it will be recognized as "unknown device". 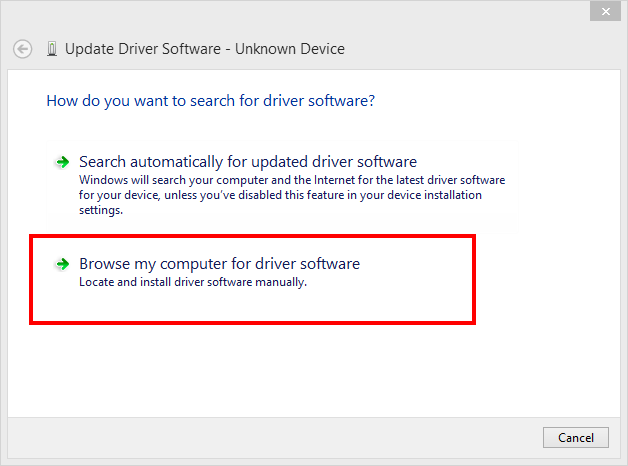 3) Go to the "Device Manager" window and right click "unknown device" and select "Update drivers". 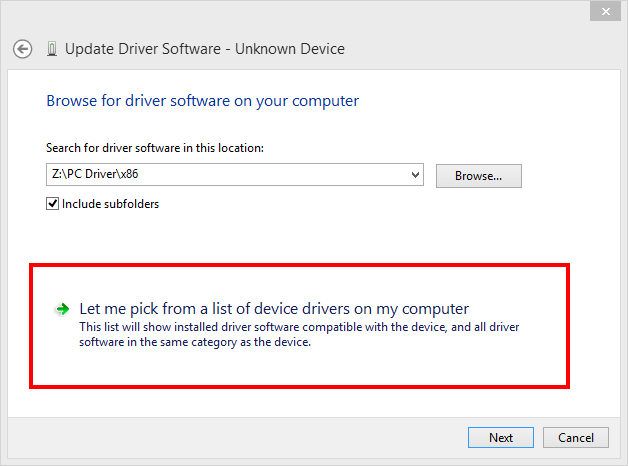 4) Select to Manually install the drivers "Brower my computer..."
5) Do not select a folder, select the second one to choose from a list. 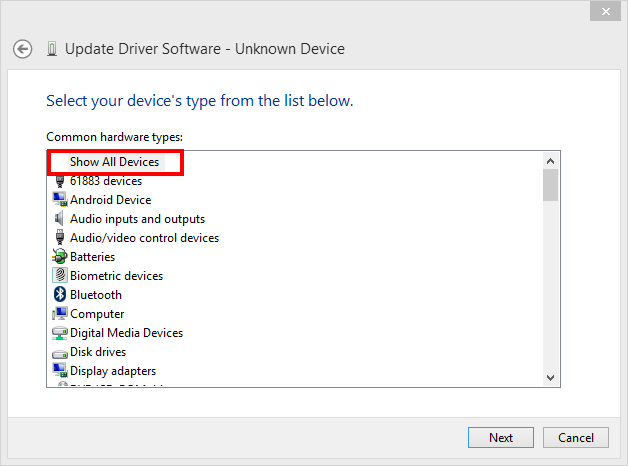 6) Select "Show All Devices" to see a full list of devices. 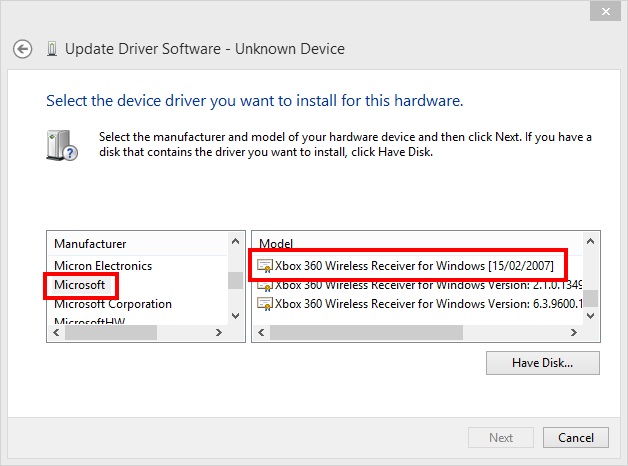 7) Select "Microsoft" as manufacturer and choose "Xbox 360 wireless Receiver for Windows (15/02/2007)". I haven't tried the other ones, the first one worked for me. It will give you a warning, but go ahead. 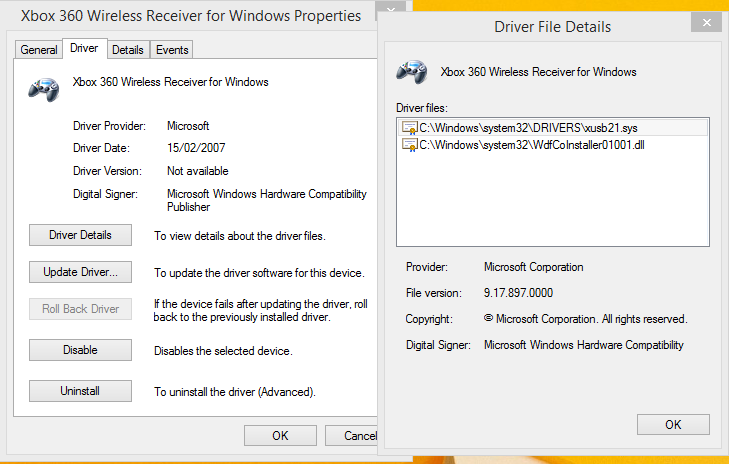 This device is working fine on Windows 7 64bits. 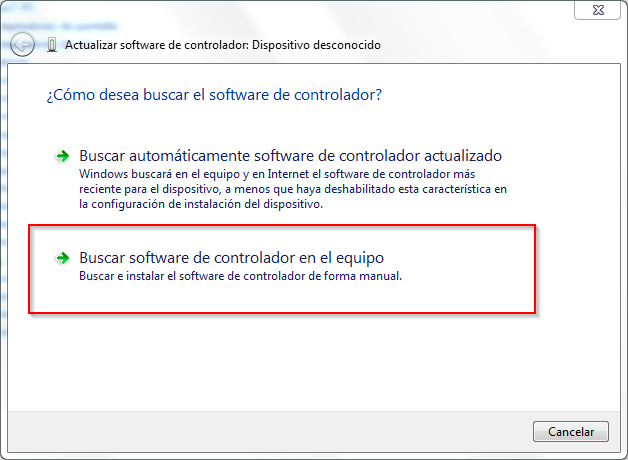 The installation is not as easy as it could be since the device it is not recognized at ones. 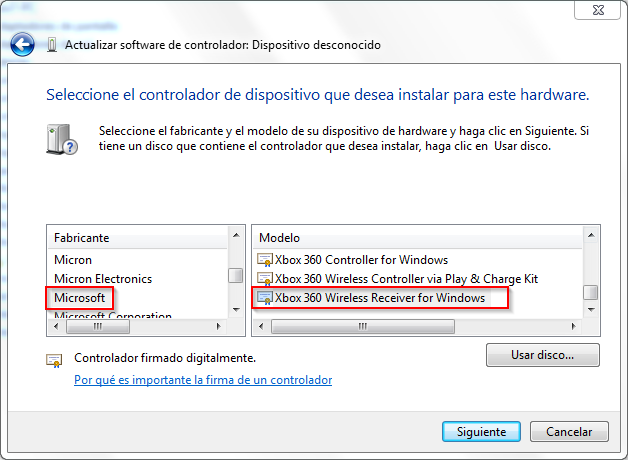 7) Select "Microsoft" as manufacturer and choose "Xbox 360 wireless Receiver for Windows". It may gave you a warning, but go ahead. 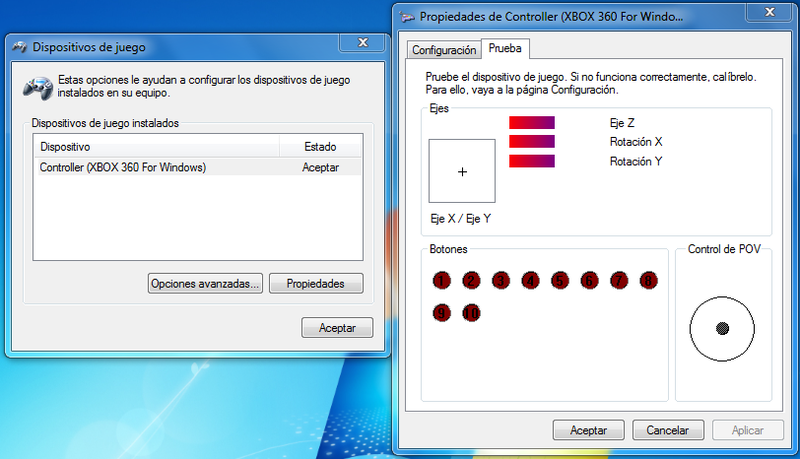 After that the device will be reacognized as a Joystick device and you can run the test button to try it out. Microsoft has a very good guide with graphics on how to "pair" the gamepad with the receiver.